Keep the tradition going strong! That’s exactly what we’re here to do. The phenomenon that takes hold of Hoboken every single March is quickly approaching. Not only is the weather going to get a little warmer, it is the perfect way to get the party started for St Patrick’s Day – a real pre – St. Paddy’s day event! The first Saturday of March is a special day in Hoboken, NJ. Not only do all of the great bars and venues in Hoboken collaborate on a star-studded event, this year the “All Access Pass” is the one package you’ll need in order to spend the entire day in excitement. Join us this Saturday, March 2nd during our annual St. Paddy’s Celebration as Hoboken unites in solidarity to offer a great package for those who wish to celebrate in style and tradition. It’s been a long winter and at HobokenStPatricksDay.com, we’re definitely ready for the spring to come and the St. Patrick’s Day festivities to get under way. All of the hottest bars in Hoboken will be flooded for this year’s annual Saint Paddy’s Celebration so make sure you’re ready! With the “All Access Pass” package, you’ll be able to visit the best route of venues throughout the entire day. The times might surprise you – starting at 10 AM? Yep! That’s what Hoboken and the first Saturday in March is famous for. Keep the tradition going strong and make sure to get up early and support the Hoboken community during the great holiday of St. Patrick’s Day. This is what it’s all about – fun in the streets, socializing with your closest friends and rejoicing in celebration. You’ve probably been to Hoboken before but you might not be prepared for the festivities that take place on the streets of Hoboken during this joyous occasion. 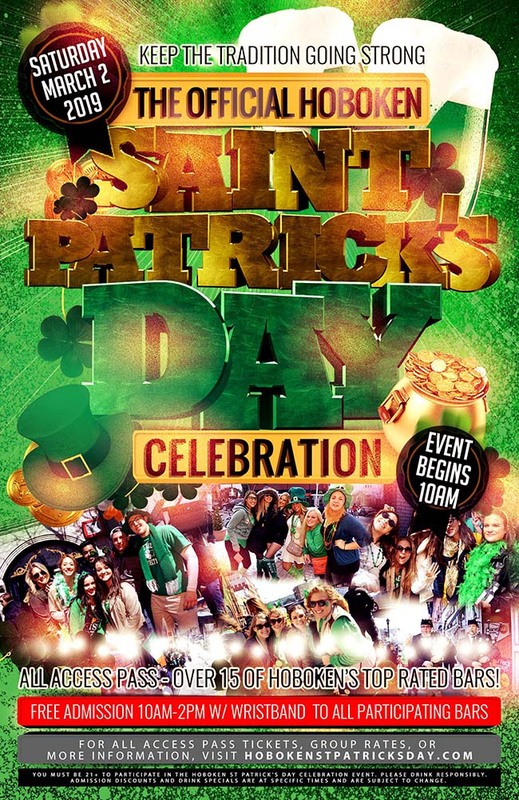 Gather your friends and come out to enjoy a full day of partying and revel with the ultimate party experience in Hoboken, the St Paddy’s All Access Pass! If there are multiple starting locations (registration venues), you only need to choose one (1). 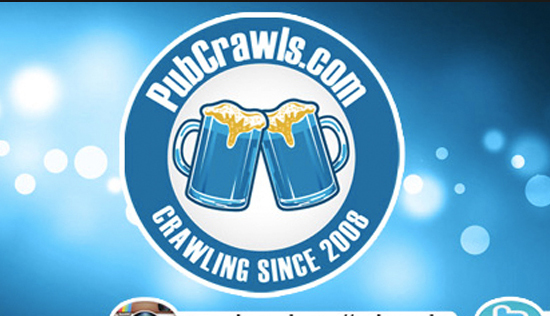 At each of the registration venues, our event staff distributes the same wristbands and customized maps that will allow you to access the entire crawl and take advantage of the drink specials throughout the entire duration of the event. Prices vary by registration venues due to the popularity of the starting location. You will receive the exact same wristband and map at any of the registration venues. The starting point/registration bar is simply the venue which you would like to begin the event.